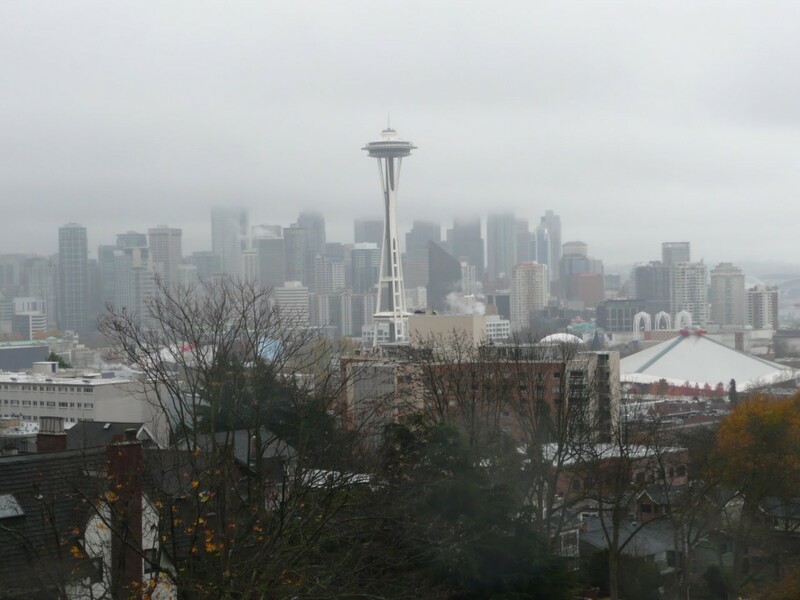 The season of gloomy and sunless days are upon us in Seattle. You may be feeling a little “blue” but passing it off as seasonal depression... or you could be feeling, tired or sick and spend your time counting down the minutes until sunny days are back. But before you go and blame it on the rain, your body may just need a dose of vitamin D.
Despite its name, vitamin D is not your every day vitamin. Actually, it is a hormone that your body makes by itself designed for you to obtain vitamin D mostly through sun exposure, not though your diet. It helps fight infections, including colds and the common flu and will help regulate the expression of genes that influence your immune system to attack and destroy bacteria and viruses. However, here lies one the the biggest problems for people in northern climates like Seattle: the sun is less likely to provide your daily needs at our latitudes and no, sunlight through a window doesn’t count. Reports have surfaced shouting out, “sunlight is dangerous for your health” and the need for sunscreen has become a billion dollar business. Now granted, having too much of a good thing such as the sun exposure can be bad and also tanning beds to do not count as a source for Vitamin D. Think about how long you are able to be in the sun without turning red in summer months. Depending on skin type it can be 5 min up to an hour (fair to dark skin range). Well that’s about the same time you need to get the Vitamin D daily requirements. Now in the winter time, quadruple that need. With more gloomy days than the average city, most Pacific Northwesterns are lacking those rays needed to boost the body Vitamin D need. So how do you know if you are one of the “D” deficient locals? Many people who see their medical providers for discomfort and paid, especially when combined with fatigue, may end up being misdiagnosed as having fibromyalgia or chronic fatigue syndrome. Instead, it could be a vitamin D deficiency that is putting calcium into the collagen in your skeleton and in return making your body ache. One of the most common sign of vitamin D deficiency is a sweaty head. Increased sweating in newborns maybe due to early symptom of vitamin D deficiency. Vitamin D is a fat-soluble vitamin, many gastrointestinal conditions affect your ability to absorb fat and lower absorption of fat-soluble vitamins like vitamin D, your gut ends up feeling your pain. You can also have your Vitamin D level tested and should be done yearly to make sure your body is responding properly to any supplements you are taking and UV exposure you are receiving. The test is called, 25-hydroxyvitamin D, and you can have it done by pretty much any physician. You should test at your highest point, which (if you live in the US) is typically in August and again at your lowest point, which is usually February. Some foods can help boost your vitamin D levels such as salmon, tuna, mackerel and sardines. A 3-ounce salmon fillet contains about 450 international units (IUs) of vitamin D. If fish makes you squeamish, then its important to add a Vitamin D supplement to your diet. Let’s put it this way, if you could only take one supplement that will decrease your chance of cancer by over 50% and possible save your life, Vitamin D is your answer. Enough said.